Balbino holds a Bachelor’s degree in Economics from University of São Paulo, Ribeirão Preto. He studied a semester abroad in Kedge Business School, Campus Marseille in 2014. 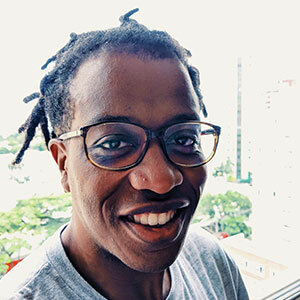 After interning at Google, he became a Associate Account Strategist and is leading the Brazilian chapter of the Black Googler Network – BGN or AfroGooglers, a Google’s employee resource group (ERG) focused on empowering the Black community at Google and beyond. He got selected in October 2017 to go to Detroit and Flint, Michigan for the Black Googler Network Global Outreach Trip, where he worked on social projects focused on the advancement of both black local community and black Googlers. Fernando is also the Diversity and Inclusion point of contact for Google Global Customer Care in Brazil. He is deeply interested in how the African diaspora and social entrepreneurship can connect in order to promote the advancement of black people. Fernando believes that we must work together in order to reach our full potential through exchanging of different perspectives.